It was late June 1961 and the Formula 1 circus rolled through the Ardennes Forest to my favorite track, Spa Francorchamps. Seemingly situated in a natural bowl, this track tests man and machine equally. While it is still known as a high speed track, its original incarnation was even more so. 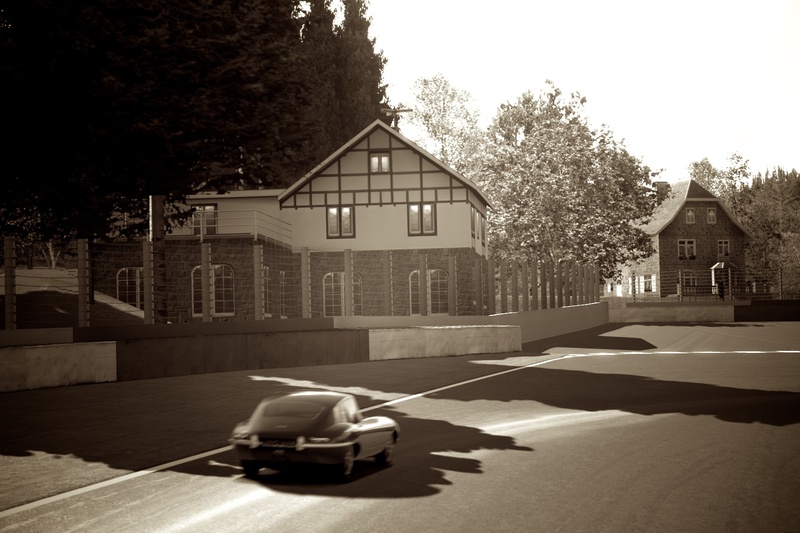 Although I have never had the opportunity to visit Spa-Francorchamps (or any other Formula 1 track), it always seems to project a palpable connection to the past. 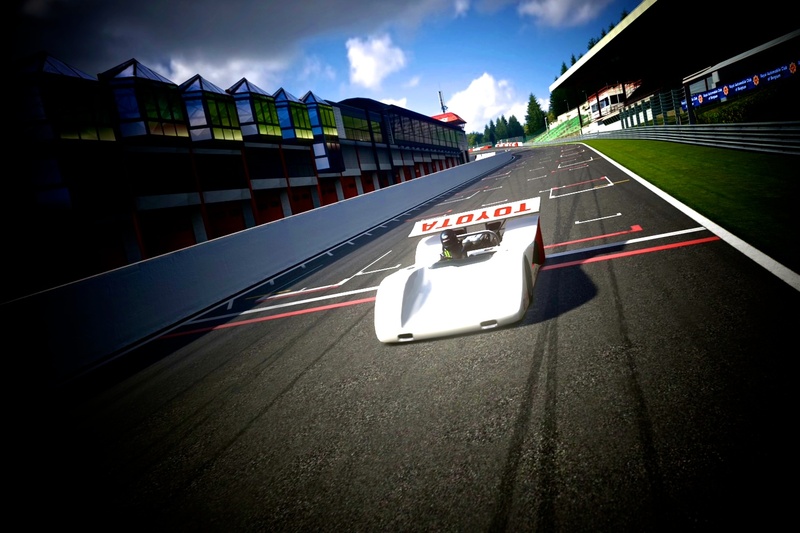 For generations, drivers have fluttered their throttles as their cars bucked about through Eau-Rouge, Spa’s seminal corner. 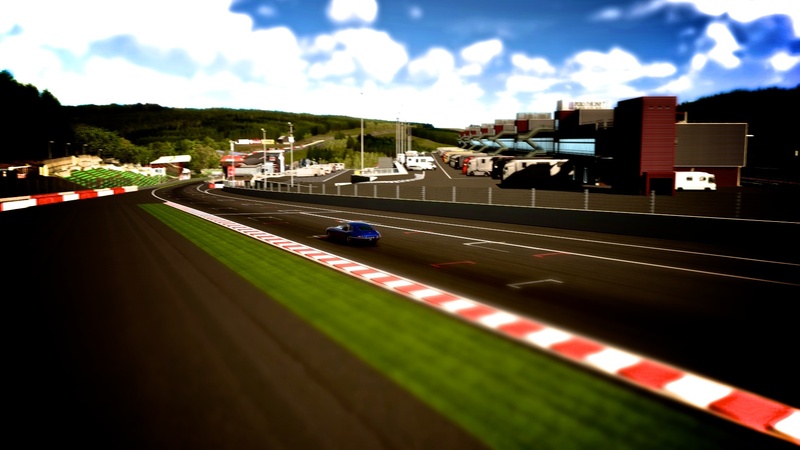 Eau-Rouge, in its modern form. If you have been following my, albeit delayed, posts this season, you know that the Scuderia Ferrari have showed remarkable pace thus far. It was the year of the sharknose, to be sure. By the Belgian Grand Prix, Ferrari had implanted their revised 120 degree V6 into all three Scuderia cars. Ferrari-red was not the only color the crowd would see jostling for the lead. You see, P-Hill, von Trips, and Ginther were all in red Ferraris. Belgian Olivier Gendebien, was also driving a fourth Ferrari; however, his sharknose was painted in a striking yellow. Yellow, as was the custom, was the national racing color for Belgium. This car, although quick, was an older sharknose which retained the original 60 degree V6. Revving his Ferrari sharknose to over 8,000 RPM, Richie Ginther must have been terrified; he had never driven the circuit before. The cars were so fast that the Dunlop tire guys were worried about tread temperature. They insisted on camber changes to stabilize temperatures. It was a clean start. Initially, Graham Hill led the charge up Eau Rouge. By the end of the first lengthy lap, the cars had spread considerably. Jim Clark came around dead last. He was having considerable difficulties with his gearbox and gear-selection. The cars tore around the Ardennes hills averaging over 130 miles per hour per lap. Certainly, there were high-speed duals mid-pack. However, the scarlett Scuderia dominated yet another race. American Richie Ginther, having just learned the track, set fast lap at 3:59.8. However, he only achieved third on the podium. P-Hill took the win and Wolfgang von Trips split the two. It was an all-Ferrari podium with two Americans standing on either side of German von Trips. The cars of early 1961 were meticulously hand-crafted beasts. With their bare hands, men in Modena, created these cars inch by inch. I am constantly amazed at the beauty of shape that was created without computer aid. I am even more amazed by the ability of these chariot-makers to stamp each model with an indelible soul. Unfortunately, many of these cars were lost to the ages. Early in the sport, there was little sense of how important these cars would be to the history of motorsport. In this disregard, many of the cars were cannibalized into the next evolution; others were merely forgotten by time. The attached video speaks to both the history of Gendebien’s yellow 156 and the sheer craftsmanship required to create (and recreate) these classic grand prix cars. 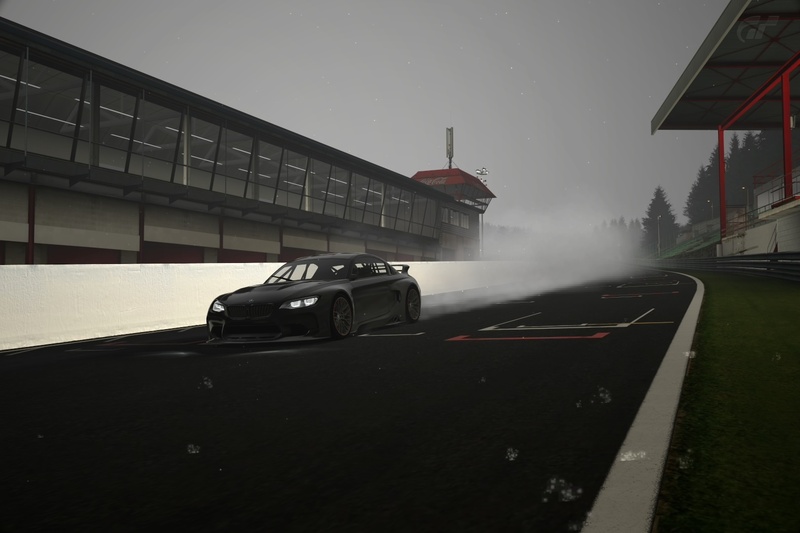 Spa-Francorchamps: A Gran Turismo Photo Gallery. 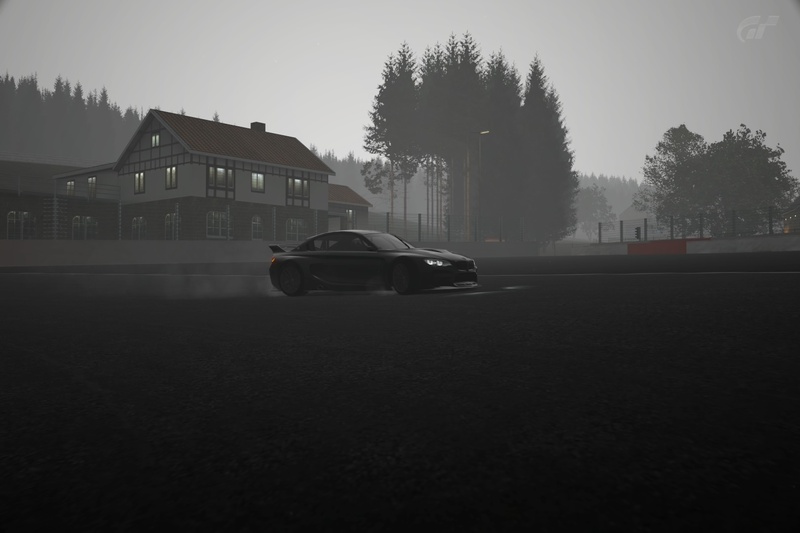 In creating this post, I wanted to share some images of Spa-Francorchamps. As is evident, these are digital images. 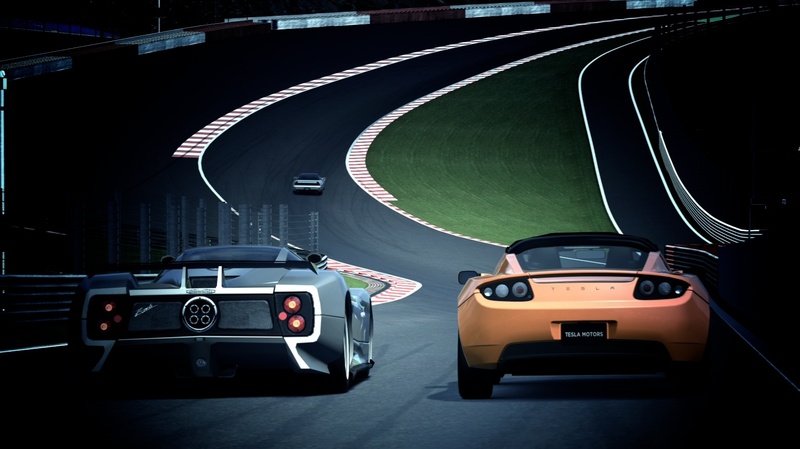 They have been taken in Gran Turismo’s photo-mode. 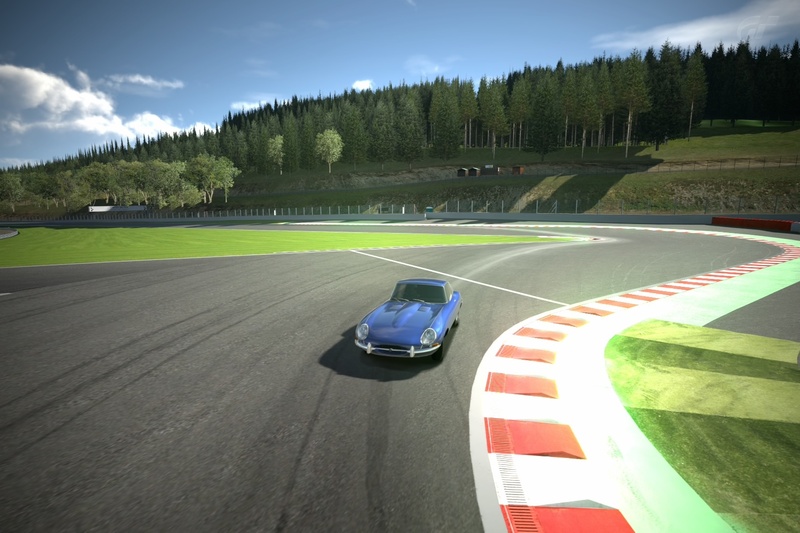 Most notable for its Playstation racing, Gran Turismo’s photo-mode is a fun feature worth playing around with. It always rains at Spa. 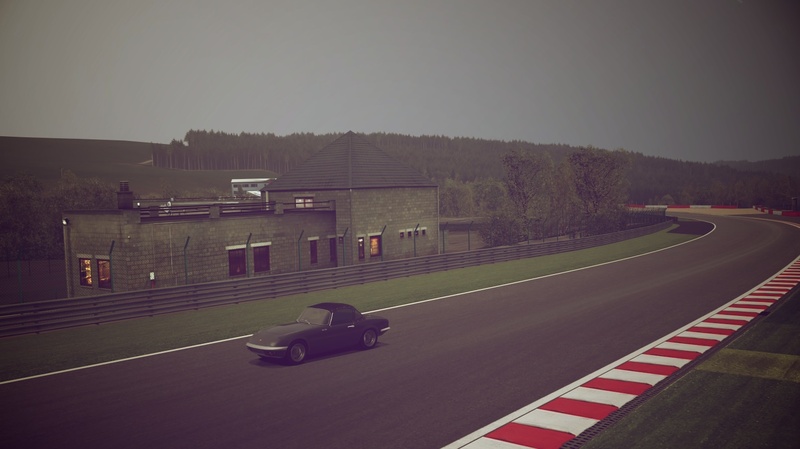 Lotus Elan on the back stretch of Spa-Francorchamps. Looking from La Source down to Eau Rouge in distance. A vintage racer at the modern start/finish line. Rounding the bus-stop chicane. Now removed, this curve was originally named for the bus stop that it curved around. A 1961 Jaguar E-Type approaches La Source hairpin. The Grand Prix of Belgium: A Ferrari Festival. MotorSport Magazine. July 1961. This entry was posted in 1961 and tagged 1961 Belgian GP, Ardennes, Belgium, Circuit de Spa-Francorchamps, Eau-Rouge, Ferrari, Ferrari 156, Ferrari 156 Sharknose, Richie Ginther, Scuderia Ferrari, sharknose, Spa-Francorchamps. Bookmark the permalink. ← The 1961 Dutch Grand Prix.